This is a joint giveaway with Smiling like Sunshine and Natural Parents Network. You may enter at one site only. Please find the section marked “Win it!” for the mandatory entry and optional bonus entries. Quirk Books is offering our readers a giveaway of Anthony DeBenedet and Larry Cohen’s book, The Art of Roughhousing, a value of $14.95. One of the parenting books that has a huge effect on me is Anthony DeBenedet and Lawrence Cohen’s Playful Parenting which I have written about here. So when an opportunity to review his new book co-written with Anthony DeBenedet arise, I was delighted. Cohen mentions the importance of roughhousing in Playful Parenting and this book takes it further. These days we hear a lot about “health and safety” and discourage our children from rough and tumble thinking it is “too wild” or “dangerous”. Cohen and DeBenedet mention that children’s play time is now adult organized, adult-refereed and adult-structured-activities. Thus they advocate that parents should get on the floor and take time to rough and tumble with the children. Emotional Intelligence: When you roughhouse with your kids, the authors argue, you’re practicing revving up and calming down, gauging how the other person reacts and feels. This helps children learn how to manage strong emotions. Social skills: Good roughhousing means good-natured give and take in the action. Kids who are well-liked, the authors note, are those who engage in fun rough-and-tumble play, whereas kids who aren’t liked act aggressively. Ethics and morality: Parents roughhousing with their kids model how someone bigger and stronger can hold back a bit while still playing. Therefore good roughhousing teaches kids cooperation and trust. In our house, up until now, my partner has been the one who roughhoused with our children. This book made me realize that I, as their mother, should also spend some time with my kids wrestling, jumping and pillow fighting. I like that the book has a guide with specific roughhousing moves. Some moves are acrobatic, requiring focus and coordination, but Cohen and DeBenedet insist they’re all doable. Roughhousing is all about fostering closeness and bringing more joy and laughter to our lives so I highly recommend this book. You can purchase your own copy of The Art of Roughhousing through Amazon. The book sells for $14.95 and is eligible for free super saver shipping. For your own chance to win a copy of The Art of Roughhousing by Anthony DeBenedet and Larry Cohen from Quirk Books, enter by leaving a comment and using our new Rafflecopter system below. Two winners will each receive a copy of The Art of Roughhousing. Contest is open to the United States, Canada, and Europe. MANDATORY ENTRY: Tell us why you want to win this book! You must enter your name and email address in the Rafflecopter entry system for your entry to count, after leaving a comment on this blog post. This is a joint giveaway with Smiling like Sunshine and Natural Parents Network. You may enter at one site only, and we’ll be recording IP addresses to ensure that there are no duplicate entries. That said, please do visit and enjoy both sites! Contest closes November 15 at 11:59 p.m. Pacific Time. 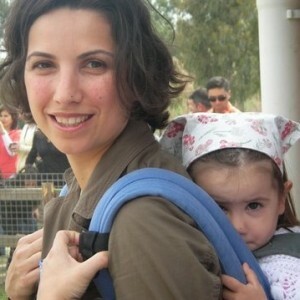 Information About Our Reviewer: Isil is a Turkish mother living in England. She has a 4 year old daughter and an 18 month old son. She is passionate about natural childbirth, breastfeeding, babywearing, gentle discipline, green living, organic and local foods, sustainable living and informed healthcare decisions. When not blogging or breastfeeding, she can be found playing with playdough, crafting with her daughter or eating chocolate. Isil blogs at Smiling like Sunshine. I learned that early vestibular stimulation may be a building block for later athleticism. I want to win this book because it is something I have been putting a lot of thought into lately and I would like some inspiration and ideas for roughhousing that I can participate in with an impaired wrist. I learned that this book existed! I knew of Playful Parenting, but didn’t know Cohen had a new book! I want to win this book because I think I need to be more physically playful with my daughter. I’m a knitter, so I can be quite the couch potato! I would love to win this – anyone could use tips in parenting. I learned that the book includees real-life stories and advice from parents. This sounds like such a fun book. I need to add more active play with the girls. This looks like a great book, and something I need. Often I find myself being very gentle and calm with the kids, but they love it when I break out the dance party and pillow fights too. That is definitely not my comfort zone, but I want to get better. Thanks for the chance to win! I learned that roughhousing can be a means to for a child to develop a strong and powerful self identity. I learned that the book is based on scientific research on roughhousing. I want to win because I think it will be helpful to learn more about what is healthy roughhousing vs. not. Well, I learned that a book about roughhousing could actually be really useful! I would love to win this book, because my son has so much energy and I’m at my limit trying to find healthy ways to direct it and his aggression! I want this book because of the information it offers about the importance of roughhousing with your children. This would be great to win & so informative. Thanks for the chance. I learned that roughhousing is something I can do as well–Knock Your Socks Off sounds fun. Gosh. I’d love to win this book because I’ve learned that instead of separating the girls when they’re on the floor, I should get down on the floor with them and encourage them to learn and grow. This all seems so obvious now. I really have had my eyes opened!